You may not know the Model F by name, but you know it by sound—the musical thwacking of flippers slapping away. The sound of the ’80s office. The IBM Model F greeting the world in 1981 with a good ten pounds of die-cast zinc and keys that crash down on buckling metal springs as they descend. It’s a sensation today’s clickiest keyboards chase, but will never catch. And now it’s coming back. 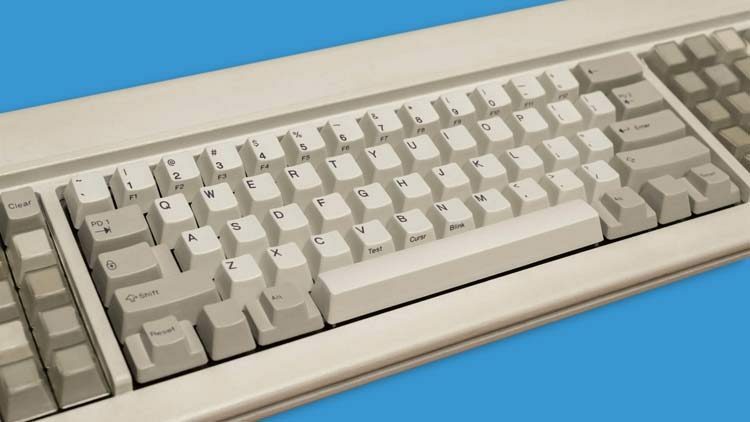 The second coming of the high-quality Model F (not to be confused with its more affordable plastic successor, the Model M) isn’t a throwback attention grab from IBM, nor a nostalgia play from Big Keyboard. Instead, it’s the longtime work of a historian in love with the retro keyboard’s unparalleled sound and feel, but frustrated by the limitations of actual decades-old tech. The Model F Keyboards project, now taking preorders for the new line of authentic retro-boards, was started by Joe Strandberg, a Cornell University grad who’s taken up keyboard wizardry as a nights-and-weekends hobby. He started as a collector and restorer of genuine Model F keyboards—originally produced from 1981 to 1994—a process that familiarized him with their virtues and their flaws. “The first family computer we had was an IBM PC,” Strandberg told me. “And, I know from this from watching old home movies: The first keyboard I typed on was a Model F.” It’s a simple story, and one that’s familiar to plenty of nerds of a certain age (including me). But it’s not rose-colored glasses that make you remember that 1980s keyboard fondly. It really was the best.